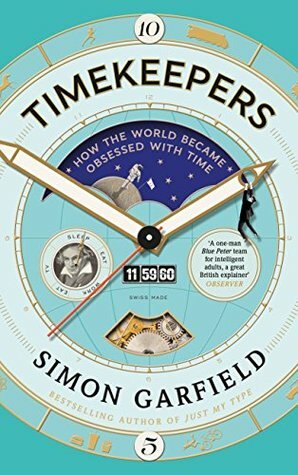 Timekeepers fulfils Simon Garfield’s intentions – to tell some illuminating stories, and to ask whether we have all gone completely nuts. It covers a wide variety of topics, all in one way or another about time – how it’s been recorded, the development of the calendar, the standardisation of time to aid with railway timetables, and aspects of time management, for example. The chapters vary in length and some are more interesting than others. The one that interested me most was Movie Time, with an account of how the silent film, Safety Last! was made in 1923. Harold Lloyd climbs the outside of a department store, obstacles falling on him as he does so, until he reaches the giant clock at the top, grabs hold of it, and dangles above the street below. Garfield recalls that for the first audiences time just froze, some went into hysterics and others fainted. Garfield’s focus is on the concept of time that the movies portrayed and goes on to explain how films were originally produced and shown when the timing depended on the cranking skills of the cameraman during filming and the projectionist during showing. I was also interested in the chapter on performances of Beethoven’s Ninth Symphony, a long and complex piece of music involving a large orchestra, solo singers and a chorus, where Garfield’s focus is on the tempo of the music and the differences made by different composers’ interpretations; and also in the chapter on Nic Ut’s photograph of children fleeing after a napalm bomb had been dropped on a village in Trảng Bàng, Vietnam. Garfield’s focus here is on the fraction of a second when the photograph was captured that brought the story home to its viewers. Several other chapters also interested me but I wasn’t taken with those on the technicalities of time measurement, time management,or the production of clocks and watches, that Garfield describes in great detail. The book jumps about from topic to topic with, as far as I can make out, no chronological order. But it is full of facts, and going off the Further Reading and Acknowledgement section it is well researched. A book to dip into rather than read straight through. Thanks to Canongate Books and NetGalley for my copy of this book for review. I was just thinking that exact same thing, Margaret, as I read your post – a book to dip into and learn from here and there, rather than read cover to cover. Still, it does sound like it has some really interesting information in it. And it is fascinating to consider how we think about time. I would have liked it more, Margot, if there had been more focus on how we think about time rather than on how we measure time, but as you say it does has some interesting information. Hmm… I might grab this one if I see it in the library but probably wouldn’t buy it.